Aurence is best known for his memory paintings of his year spent as a U.S.M.C helicopter doorgunner in Vietnam in 66-67. Some people write books about their experiences in war, some people write songs, and some people create mainstream art. Aurence tells his war stories, from combat to Dog Patch, the best way he can - with a brush. Only those who understand and collect folk and outsider art can fully appreciate the imagery captured in Aurence's paintings. For over 20 years Aurence has been captivating people with his unique style. From the horrors of Vietnam to the calm of the sea or a tranquil evening on a farm, Aurence paints what moves him. One day, it might be a scene from a recent trip, the next it might be a memory painting of his early years as a young boy picking cotton in the south or working on a peach or cattle farm. Aurence carries a camera with him for those "now" moments that inspire him. From waterfalls to old barns to working boats, Aurence is ever vigilant for the next subject. "... Aurence paints from the gut, very real and totally honest. I love his works. They just pull me in. The first thing people look for in Aurence's paintings are his White Dog. In Vietnam, a white dog hung out around his hooch. The dog, whose name has been lost to time, became one of Aurence's good luck charms and has remained so to this day. Sometimes White Dog is easily spotted and sometimes he turns into a, "Where's White Dog?" game. Many collectors consider White Dog a good omen, forever watchful in their homes. Is that a fireball in the sky? Yes? A fireball shooting down from the heavens can be found in all of Aurence's scenic paintings. He calls the fireballs, "Messages from 'Nam," and leaves the interpretation to the viewer. The squiggly "D" with two hatch-marks under Aurence's signature honor a high school friend who was killed shortly after arriving in Vietnam. The two entered the Marines at the same time, joining up on the "Buddy" program. Why is there a military helicopter in my farm scene? Aurence occasionally paints a Huey helicopter in the sky. If you buy a painting with a helicopter in it, you get an extra bonus. It is not just any helicopter. 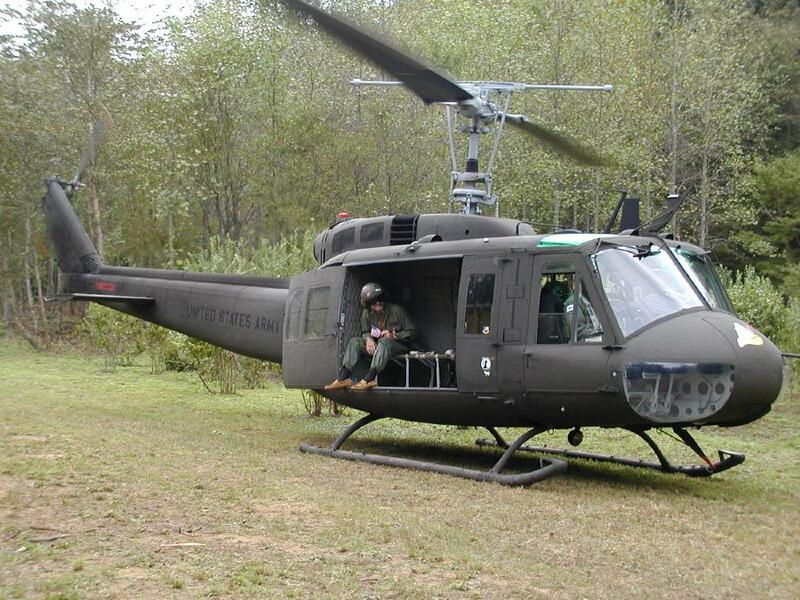 It represents a specific Vietnam war helicopter, Huey 091, aptly named for her last three ID numbers. 091 landed in Aurence's backyard in 2001 for the filming of a documentary. Aurence was asked to paint his signature icons on the Huey, along with the POW emblem. 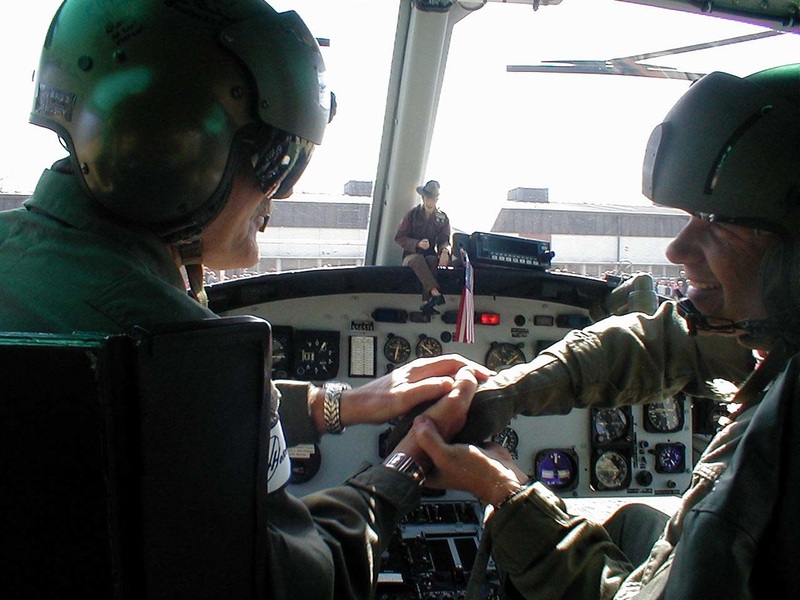 Aurence flew the next leg of the Huey's 10,000 mile journey and co-piloted her at Quantico a few years later on her final journey, one that took her to the National Mall in D.C. Huey 091 is now part of the Price of Freedom exhibit at the National Museum of American History. The same White Dog that peers out from Aurence's paintings now watches over the extraordinary exhibit that honors both the men and the machines of war. The Huey will be on display for many years to come. Aurence prepares for liftoff on Huey 091. Above: Aurence paints his signature icons on Huey 091 for the filming of the documentary. Aurence prepares to co-pilot 091 at Quantico as it makes its way to the National Mall. Left to right: Huey 091 on display at the National Museum of American History. Aurence poses in front of 091 at exhibition. Born in Penescola, Aurence has always loved the water. 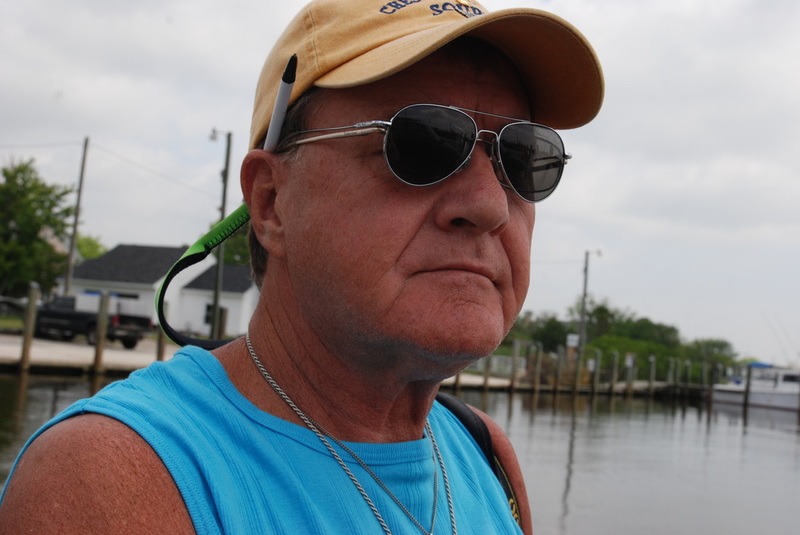 He lived on the Eastern Shore of Maryland for several years, capturing the day to day activities of the crabbers and oystermen. Aurence is a life member of the M.O.P.H. He lives with his wife and 4 cats in the Northeast Georgia Mountains. 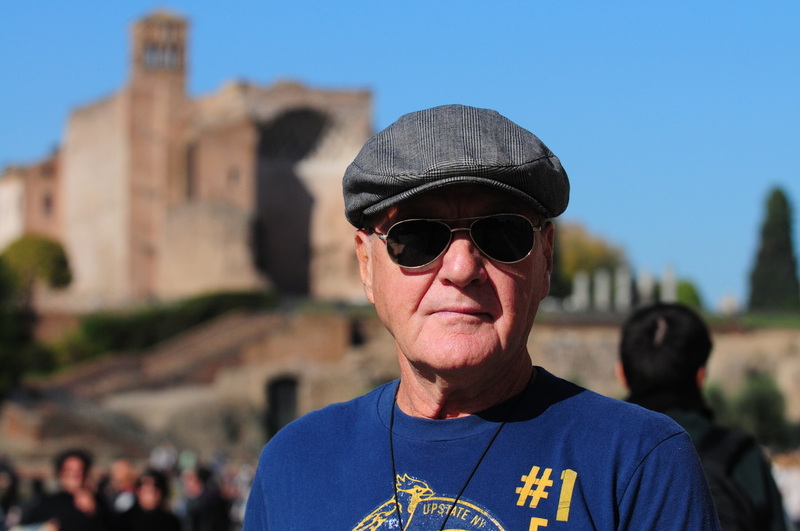 Many of Aurence's paintings are inspired from his travels.